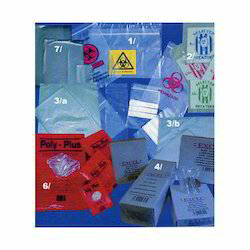 Manufacturer of a wide range of products which include low density bags. Since our inception, we have been successfully manufacturing, trading and supplying a wide assortment of Low Density Bags. All the offered bags are designed in accordance with industry standards, making use of quality LD material, procured from the reliable and certified vendors of the market. In addition to this, our bags are available in different colors, designs, sizes and shapes at most competitive prices.